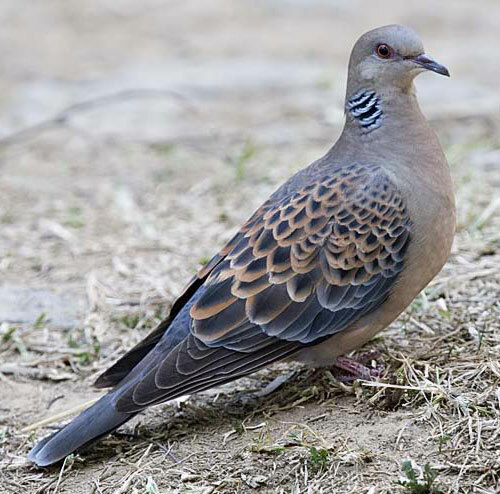 Oriental Turtle-Dove: Native to Siberian taiga, accidental on Vancouver Island, casual to western Aleutians and Bering Sea. 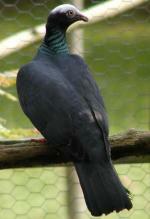 Preferred habitats include deciduous and coniferous forests. 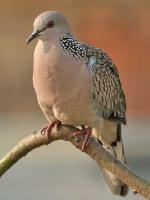 The Oriental Turtle-Dove was first described in 1790 by John Latham, the English physician, naturalist and author. 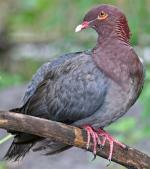 Alternate common names for this species include Rufous Turtle-Dove, Eastern Turtle-Dove, and Mountain Turtle-Dove. 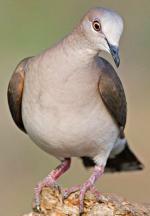 A group of doves has many collective nouns, including a "bevy", "cote", "dole", "dule", and "flight" of doves.